Delicious food is not the only thing that should grace the menu for a successful Thanksgiving. The holiday table can set the stage for a spectacular gathering and create a memorable experience for family and friends. Whether your style is traditional or modern, classic or creative, it’s OK to mix and match different esthetics to express your holiday story and capture the hearts and stomachs of your guests. We’ve rounded up some favorite items from a variety of Aventura Mall Retailers to help make your table setting one to remember. 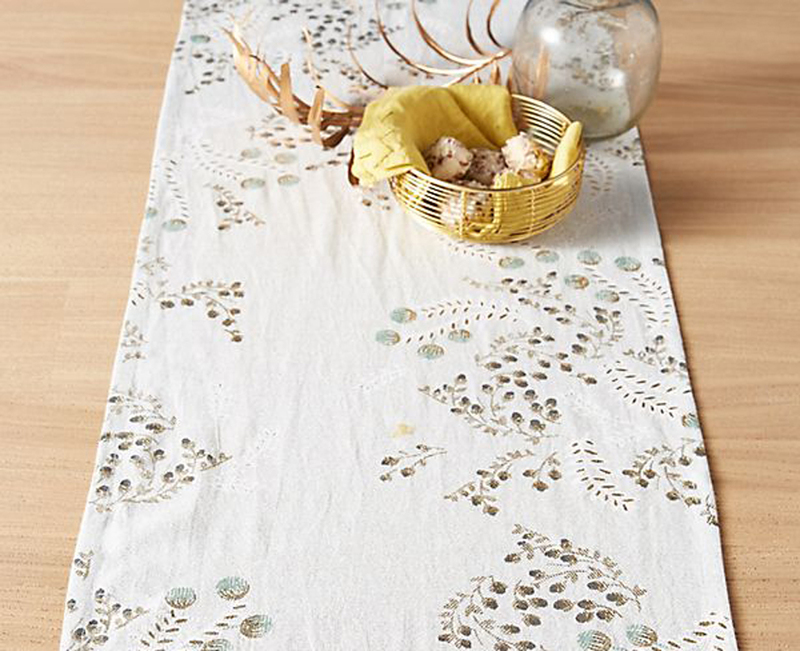 Anthropologie - Livinia Table Runner Adorn your tablescape with a touch of shimmer and simple elegance illustrated by twisting vines in this Livinia Table Runner. 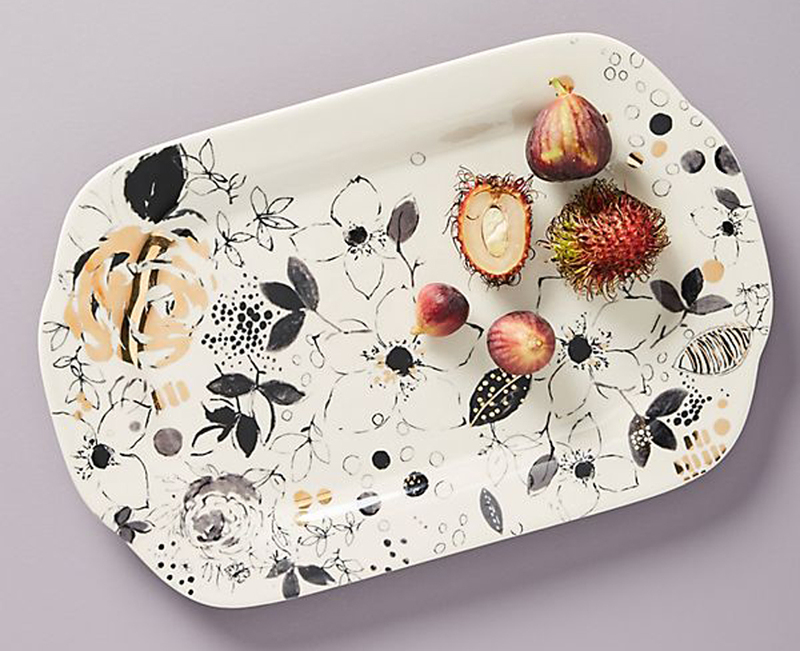 Anthropologie - Floral Vine Serving Platter Serve warm or cold appetizers or dessert on this artistic and stunning platter that will wow your guests. 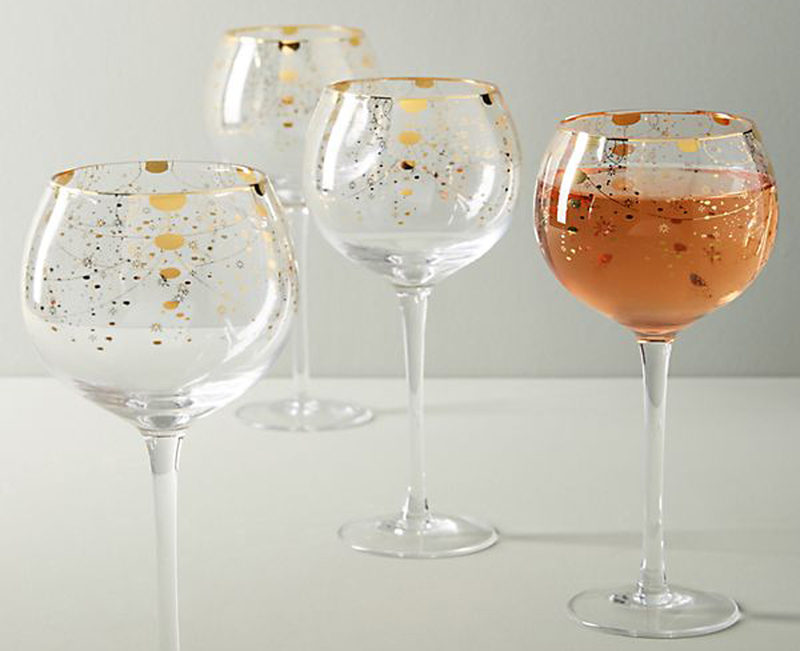 Anthropologie - Celine Wine Glasses Celebrate good times and toast to the holiday with these elegant Celine Wine Glasses. 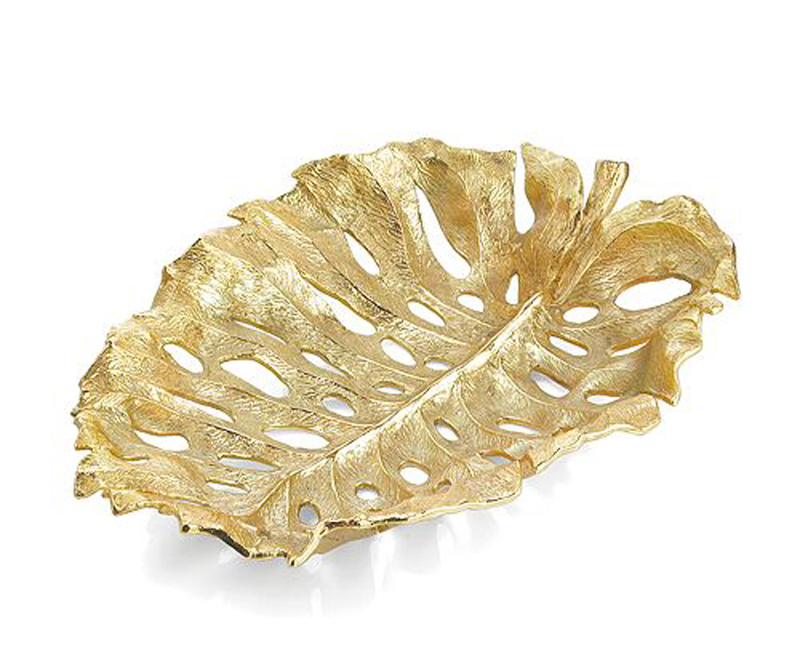 Bloomingdale's Home - Michael Aram Monstera Leaf Gold Centerpiece Adorn your holiday table with this handmade gold leaf centerpiece by Michael Aram. Its eye-catching allure will have heads turning whether it’s showcased on its own or filled with holiday goodies. 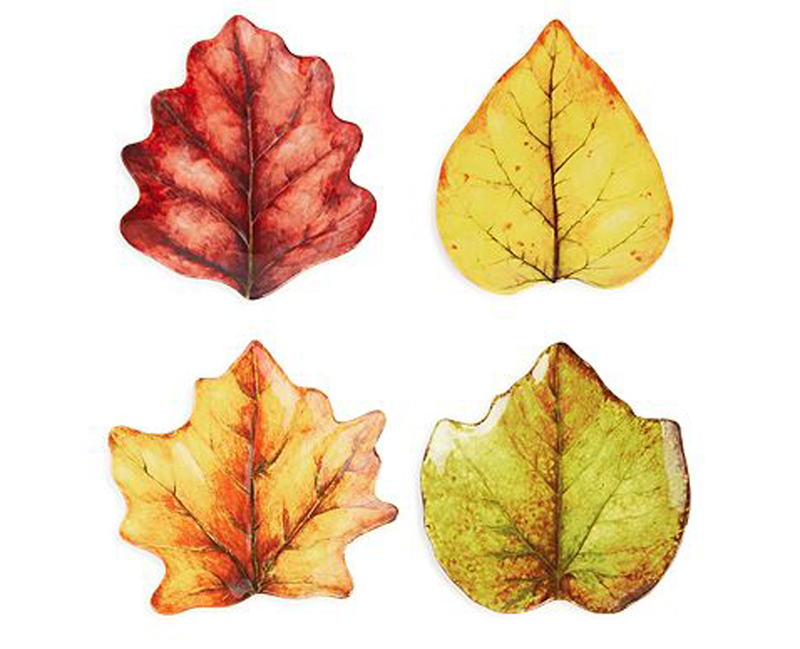 Bloomingdale's Home - Juliska Forest Walk Leaf Cocktail Plate These ceramic plates capture the essence of fall and are ideal for filling with small appetizers before the big holiday meal. 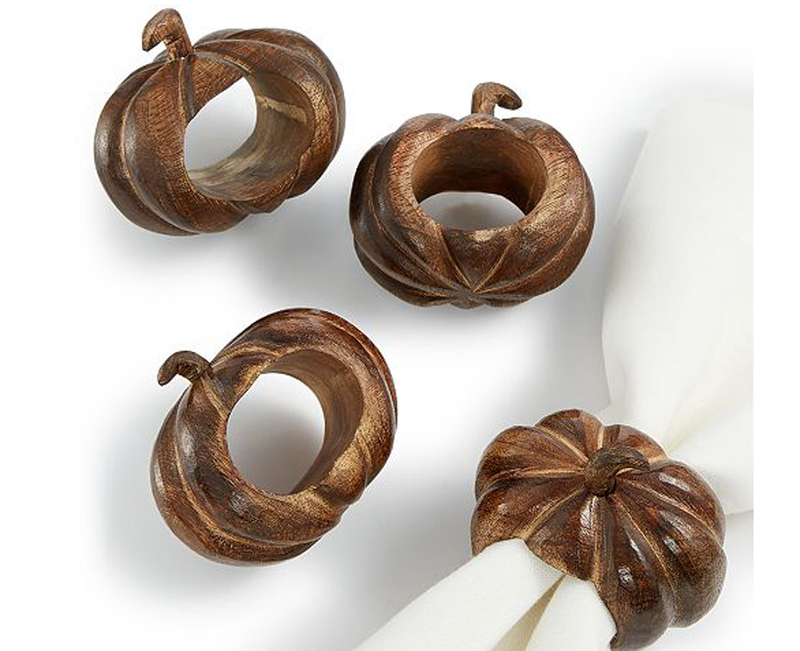 Macy's Home - Bardwil Carved Pumpkin Napkin Rings Whether you opt for napkins in white or in shades of fall, these pumpkin napkin rings will add a dose of seasonal spirit to any table setting. 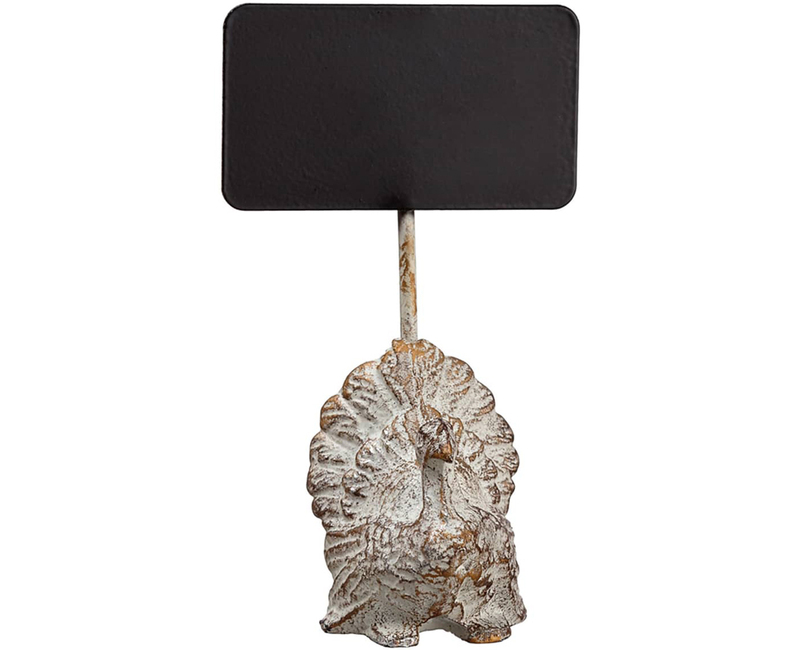 Nordstrom - ALLSTATE Turkey Name Card There are no switching seats once you set the table with these fun chalkboard name cards atop a rustic little turkey. 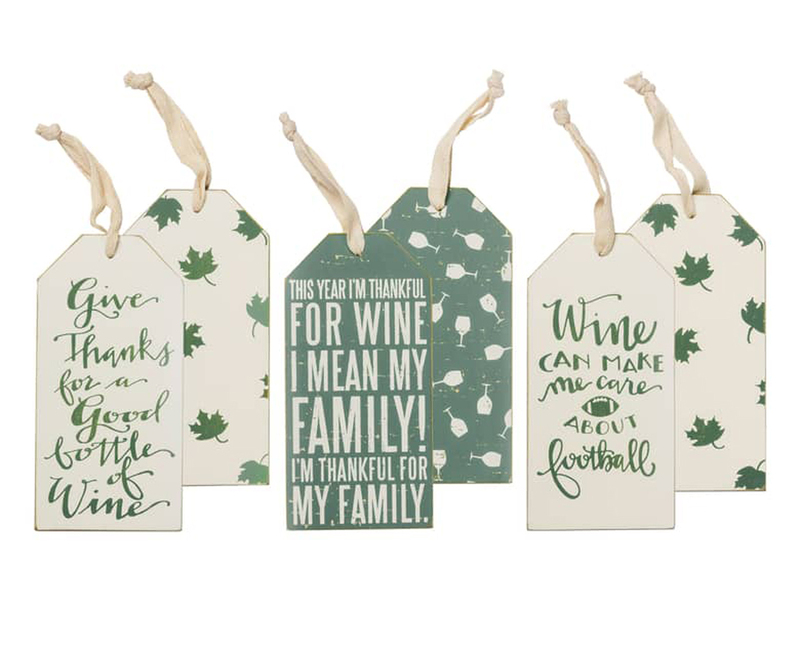 Nordstrom - Primitives by Kathy Thanksgiving Set of 3 Wine Tags Add whimsical charm to your holiday table wine with these fun and spirited wine tags. 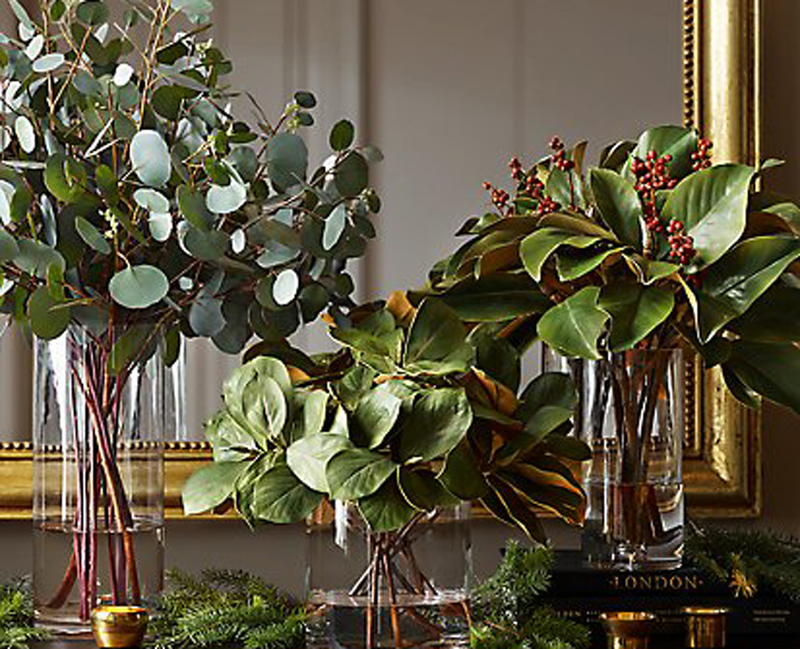 Restoration Hardware - Faux Magnolia in Illusion Water Adorn the room or table with this faux hand-crafted botanical arrangement that looks fresh and natural. 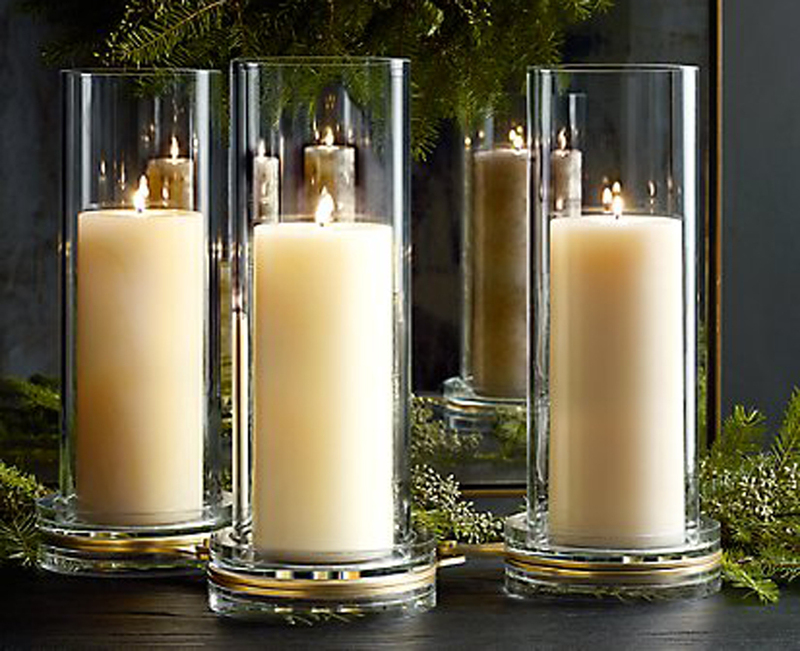 Restoration Hardware - Cerceau Link Candle Holders For an industrial motif, these candle holders make a striking statement by pairing K9 crystal hurricanes with solid, cast metal chain links polished by hand. 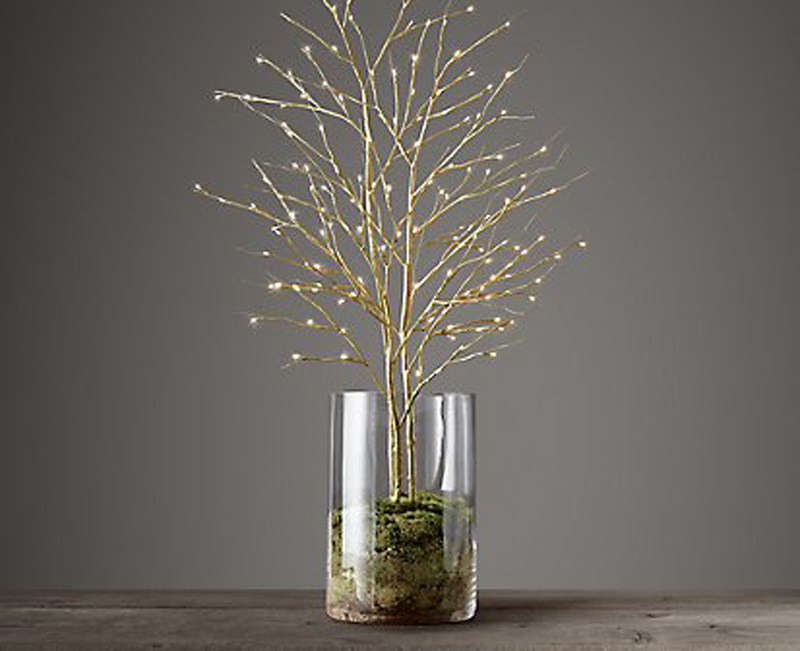 Restoration Hardware - Woodland Lit Branches Add a subtle glow to the table with these lit branches that are dotted with warm lights. The branches come in a variety of color options including bark, birch, gold, and silver. 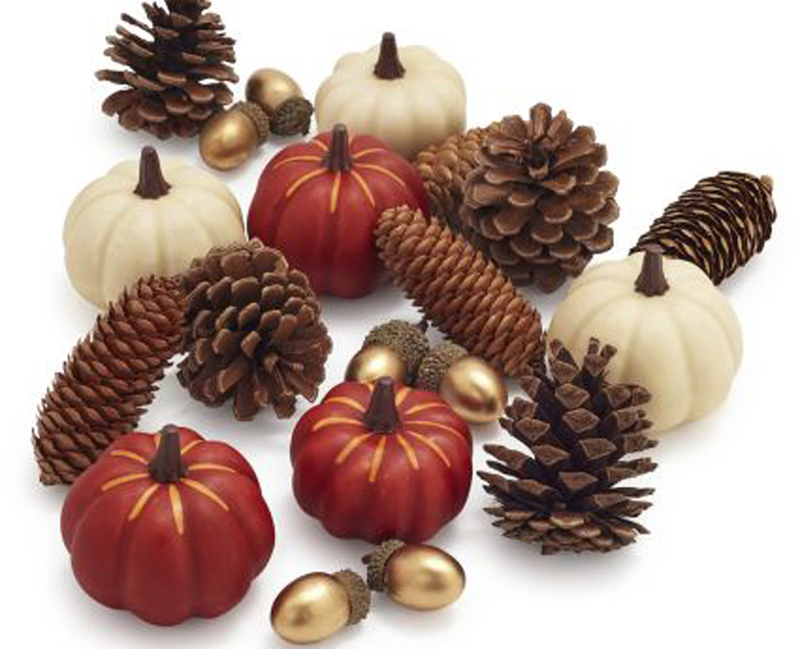 Sur La Table - Harvest Pumpkin Scatter For a fun and festive table, this Harvest Pumpkin Scatter can fill a glass vase for a centerpiece or be draped across the table for a dose of seasonal charm. 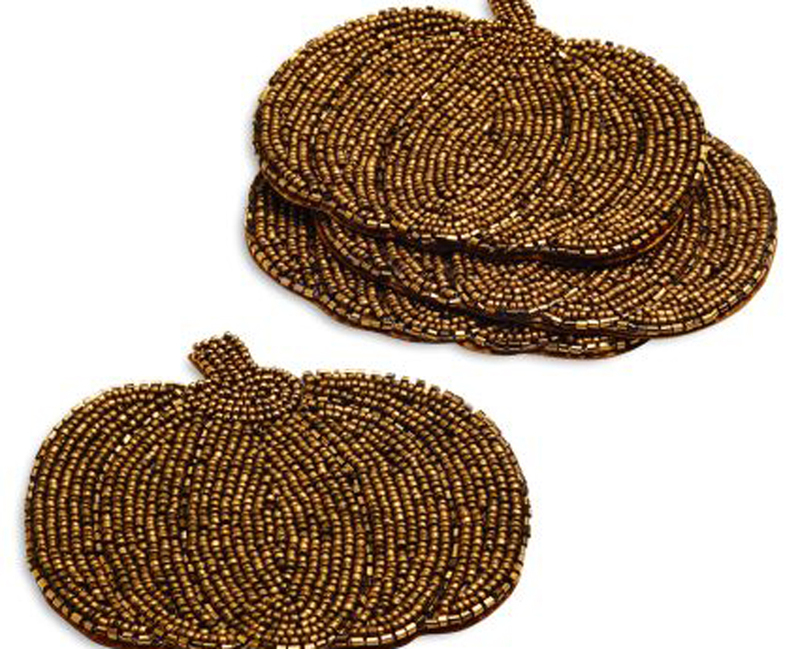 Sur La Table - Beaded Pumpkin Coasters Thanksgiving beverages can rest comfortably on these shiny pumpkin-shaped coasters with a beaded brass surface that sparkles and shines.